The manufacturer's aircraft have been involved in a series of ditching incidents involving North Sea offshore personnel. The crash involving a police helicopter in Glasgow city centre is the latest in a series of incidents in recent years involving Eurocopter aircraft. 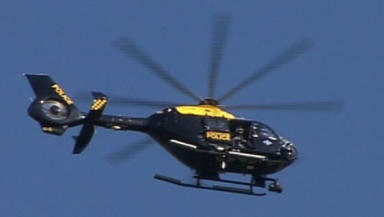 Police Scotland said the helicopter was a Eurocopter EC135 Type 2, registration G-SPAO. It was built in 2007 and was operated by Bond Air Services, originally for the Strathclyde Police Air Support Unit. The Air Accident Investigation Branch will carry out an inquiry into what caused the aircraft to drop out of the sky. Eyewitnesses described hearing a loud bang, but the helicopter does not appear to have caught fire. An initial bulletin giving the investigation team's preliminary findings is likely to be issued shortly, but it may take weeks before the accident branch is able to publish a full and detailed final report. Investigators will examine whether mechanical failure, pilot error, an electrical fault or other factors were responsible for the sudden loss of power. The AAIB will also be keen to study any flight data recording equipment that may have been on board the crashed helicopter. A statement by Bond Air Services said: "Bond Air Services can confirm that a police service helicopter was involved in an accident earlier this evening in Glasgow city centre. "Bond is working with Police Scotland and the emergency services who responded immediately and remain at the scene at the present time." In 2002 a police EC135 helicopter came down in a field near Muirkirk in Ayrshire. The wreckage of the aircraft was strewn across a 50-yard stretch of farmland, but the two police officers and civilian pilot on board all survived. Two other Eurocopter models have been involved in five incidents in the last four years involving offshore workers being transported to and from North Sea installations. In the most recent crash four people died when a Super Puma AS332 ditched in the sea off the southern tip of Shetland in August. In April 2009 all 16 people on board an AS332 helicopter died when it crashed into the sea off Peterhead. An AAIB investigation found the aircraft had suffered a catastrophic gearbox failure. Helicopter operators grounded a different Super Puma model, the EC225, following two ditching incidents in the North Sea in the space of six months last year. All 33 people on board the two aircraft were rescued safely. Eurocopter called in a specialist engineering firm to identify the source of the problem and flights were suspended for several weeks. The EC225 fleet returned to service in mid-August after a review of safety procedures and the introduction of extra checks. Friday’s crash will inevitably raise fresh questions about the reliability of the Eurocopter models.